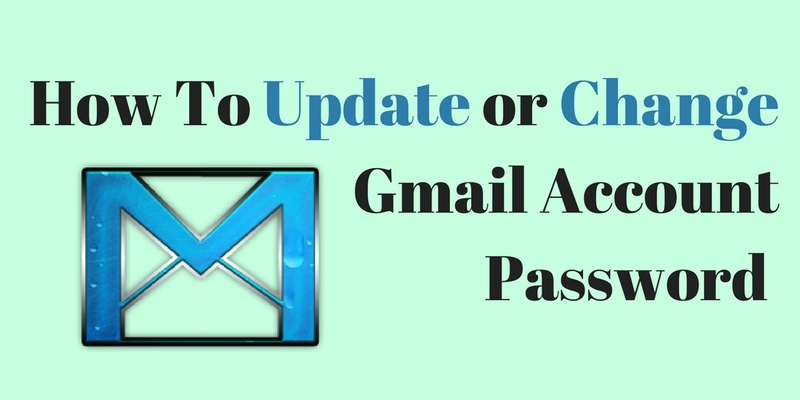 How To Change Gmail Password? Before understanding the detailed procedure for changing the mail account password let us try to understand the need to change the mail account password. Users should change Gmail password at regular intervals so that their account is safe and secure and is not hindered by any sort of external threats. This is because hackers are always looking for ways to get into the users mail account and steal some sensitive information. Users with prior knowledge with this will always keep such things in their mind but it is the users who lack knowledge in the technical domain face toughest of time in doing such things. This is because they have never dealt with such things before. Such users should not worry at all because it’s never too late and can simply go through the steps to get their things done on an instant basis. Step 1: Users can first of all ensure that they have logged in to their mail account with the account username and password. Step 2: The next thing which users can do is click on the “Gear” icon which is available in the upper right corner and then they can simply click on “Account Settings” which they can click from the drop down menu. Step 3: Users will now need to select “Signing in to Google” which they can do from the “Sign-in and security” tab. Step 4: Users will now need to choose “Password” to reset the account password from the list of available options. Step 5: Finally users can then enter and confirm the new password and then they can select “Change Password”. Step 6: Users can now feel free to login to their mail account via the account username and the newly created safe and secure mail account password to enjoy uninterrupted mail services.